Are you ready for some surprising news about “essential oils”? They’re not really oils. Essential oils are not actually regarded as oils because they don’t contain the fatty acids that are an essential component of true oils. Instead, they are highly concentrated plant ingredients that have strong cosmetic and medicinal qualities. An essential oil may be more accurately thought of as the essence of the plant. But oil or not, they have amazing properties and can do wonderful things for us. Here are some examples. Most essential oils have properties that are antiviral, antibacterial, and antifungal in nature. These qualities make them very useful as additions to cleaning products. Some oils that are particularly effective in this regard are grapefruit, lemon, peppermint, rosemary, lavender, and tea tree oil. 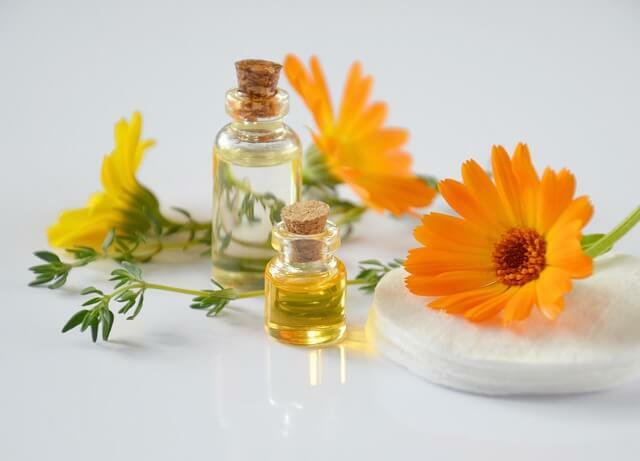 Since essential oils have very small molecules, they are more easily absorbed by our skin. The skin serves as a barrier to molecules of larger sizes, but the smaller molecules in essential oils cause our skin literally to drink them in. The oils make great additions to personal care products that soften, nourish, and heal. They also do not accumulate, but are used and absorbed by the body. Studies have found that rosemary oil has surprising benefits in terms of brain function. Breathing in the scent aids in memory recall and brain performance. One study also found groups of people who inhaled rosemary oil had significantly higher levels of relaxation than a control group. Substances that are natural cannot be patented. So you won’t see an essential oil alone as a pharmaceutical medication. The drug companies cannot make much money on their investment unless they can acquire an exclusive patent. This also means you will never see mainstream medicine promote essential oils as safe alternatives to their drugs that frequently entail side effects. There is simply no profit here. Since drug companies have no profit motive in promoting essential oils, there’s also a limited amount of scientific knowledge available about them. Much of what is known about these healing oils is based upon thousands of years of safe, traditional use. Many essential oils are highly concentrated and must be mixed with other oils to minimize a potentially adverse skin reaction. Normally, this is done before you buy the product. Each person’s skin is different, however, so it’s prudent to test an oil on a small area of your skin when you try it for the first time to see how you’ll react. Argan oil is growing in popularity as the public discovers its many health and beauty applications. The oil is produced by pressing nuts from the fruit of the argan tree. The tree grows only in Morocco, and produces an oil that’s one of the best beauty treatments around. Argan oil helps with frizzy hair and helps moisturize dry hair. It also gives shine to hair. This oil can also be safely used all over the body as a potent moisturizer.